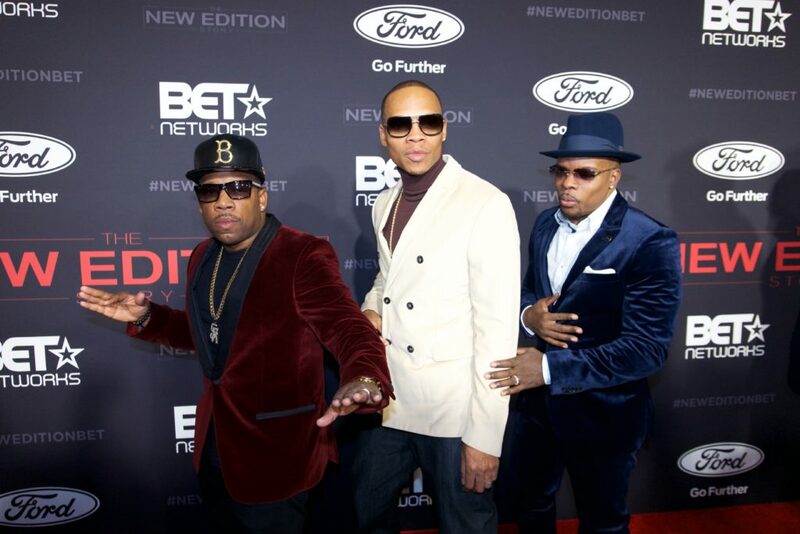 *If you missed the three-part New Edition miniseries on BET, the music drama is available to stream on the website, along with bonus behind-the-scenes clips and exclusive interviews with the members of the hit R&B group. Meanwhile, Ricky Bell, Mike Biven and Ronnie DeVoe have been promoting the film as well as the release of their first album in over 15 years, “Three Stripes,” which they spoke about during a recent Q&A with Rolling Out. Check out a few excerpts from the BBD interview below. January is a big month for you guys. Before we get into the movie, tell us about your new album, Three Stripes. When will it drop? Ron DeVoe: Jan. 27, as a matter of fact. The first Bell Biv DeVoe album in a while. We’ve been performing and doing those classics since 2001, and we’ve always kind of focused there. We were bred to be entertainers first, so that’s our mentality. Fast-forward to now, and people have always been asking us, “When will y’all drop a new joint?” And it drops the day after the movie, at midnight on the 27th of January. So, Mike, why Three Stripes? What does that name mean? Michael Bivins: Back home in Boston, Adidas is like a heavy street product for footwear and sweatsuits. We just hold on to that product so strongly that we thought coming back out there’s three of us, and a lot of the groups that we look up to are three-men, three-women groups: SWV, Naughty by Nature, Next, Boyz II Men now (hopefully, we get them back to 4, God willing). But there’s something about that “three.” We didn’t want to overthink the title. We’re not overthinking the music. RD: And just the history of Bell Biv DeVoe. When you look at it from a military perspective, they gotta earn their stripes. When you go from a private to a general, you have to earn your stripes, and we feel like each one of us, as far as BBD history and even before then with New Edition, that’s 30-plus years. We earned our stripes. 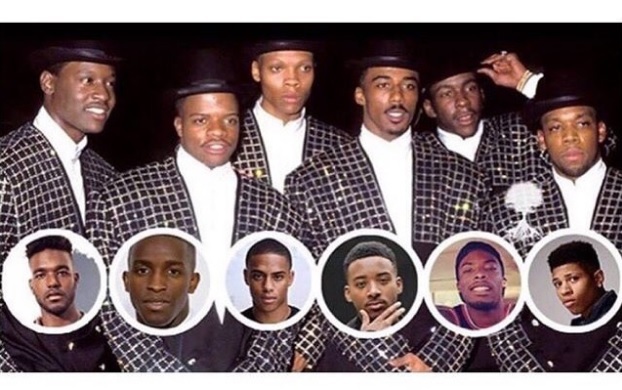 It’s interesting to look at the progression of BBD, and how the formation of this group was almost an afterthought due to the other members of New Edition going solo. Did it place a chip on your shoulder in the beginning, just knowing that no one really expected you to blow up in the way that you did? RB: When we first got started in the creative process with Bell Biv DeVoe, on the one hand, it was really exciting for us to do something that we had full control over and could do exactly what we wanted to do. We weren’t worried about having to wear suits or trying to live up to the New Edition image. With Bell Biv DeVoe, it was just really loose. We could make the type of music that we listened to when were driving around, or that we would bump with our friends. And even though we were the underdogs, we were OK with that. I remember when we set out, we had a goal, and that was to just go gold. And we did that in about a week, so it blew our minds. When it comes to this group, we believe it when they say that God will bless you beyond what you can even imagine, because it keeps happening for us. There is no way that we could have planned, and said, “OK guys, when we record ‘Poison,’ in 25 years when people hear it, they are still going to be jumping up and down getting excited about it.” There’s no way that we could have planned any of this. We’ve experienced it all, both the highs and the lows, so we have enough humility to just accept it all, and just be grateful that we are still here, and still able to create something that people are interested in. It’s been a long time coming, but you are getting your respect due for three nights with “The New Edition Story.” How does that feel? RD: Man, three nights is big. I think it’s just a testament to the history, and to the fans — the NE-for-lifers who have just continued to stick with us since 1983, and who have propped us up and weathered the storms. We have a joint called “Can You Stand the Rain” that is significant because it really tells our whole stories. We’ve been able to survive all of the ups and downs, and now, after over 34 years in the game, we are getting the chance to tell our story. All of the turmoil that we have gone through over the last 10 years to make this project come to life has finally paid off, because, man, getting those six signatures [Johnny Gill was also a New Edition member] to sign on the dotted line wasn’t easy. But now it just feels good to sit back and watch the footage and see how people react to it. We had a premiere in New York and hearing the laughter and feeling the pain was just surreal. And for it to be three nights just makes it that much more special.